In a few days time Brentwood CND and Brent- wood Cathedral will be offering hospitality to the Peace Walk from London to Colchester in support of Joe Glenton, the soldier who has been sentenced to 9 months in Colchester military prison for refusing to fight in Afghanistan. The walk is planned to start with a rally outside the main entrance of the Ministry of Defence on June 26, which the government has identified as Armed Forces Day. The day has been renamed by peace campaigners as Unarmed Forces Day. The walk itself will start on Sunday 27th and will go to Ilford for the first night. On Monday 28th, they will be in Brentwood, staying overnight in the Cathedral Hall, Tuesday 29th they will be in Chelmsford, Wednesday 30th , Maldon and will arrive in Colchester on July 1st. Joe enlisted, aged 21, in 2004. After doing a seven month tour of duty in Afghanistan he ab- sconded from Abingdon barracks after expressing reluctance at being sent back to Afghanistan. He went on the run for two years before handing him- self in. He is the first British soldier to take this stand and was charged with desertion. He was also charged with “disobeying a lawful order” when he addressed a peace rally in Trafalgar Square last October. Brentwood CND members are invited to attend the public meeting being held with the peace walkers at 7.30 at the Friends’ Meeting House, Shenfield on Monday June 28th and/or to accompany the walkers on (part of) their way to Chelmsford on Tuesday, June 29th. They will be setting off from Brentwood Cathedral at 9am. At the end of July, two of our members, Beryl and Roger Lankester are going to Japan for the 2010 commemoration in Hiroshima. They will be attending a conference there as well as attending the traditional ceremony on August 6th. They are being hosted by Quakers. Beryl has kindly offered to take a candle on our behalf to the people of Hiroshima and place it alongside the thousands of others which are sent and brought to Japan from countries all over the world. On Friday, 16th July 5pm and 6pm we shall formally hand over the Brentwood CND candle to them at the Friends’ Meeting House in Shenfield. The presentation will mark our resistance to the continued threat from nuclear weapons. The Bishop of Brentwood, Rev Thomas McMahon a well known opponent of nuclear weapons, will be present as will various representatives of Christian CND. Clergy against Nuclear Arms (CANA) will also present a candle. Some light refreshments will be provided and members of Brentwood CND will be particularly welcome. There will also be the usual candle lighting ceremony on August 6th (see diary for further details). accelerate concrete progress on the steps leading to nuclear disarmament and to rapidly move towards an overall reduction in the global stockpile of nuclear weapons and further diminish to role of nuclear weapons in all military and security concepts, doctrines and policies. 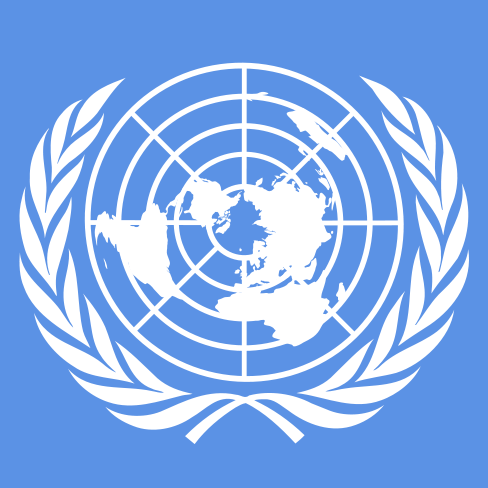 In another development, it was agreed that the UN General Secretary would convene a conference in 2012, to be attended by all countries of the Middle East, to discuss a WMD-free Middle East. This second part has been included to deal separately with the issues which specifically refer to Israel and Iran. Egypt, as the president this year of the Non-Alignment movement, had previously and understandably insisted on progress in this area before becoming a signatory to any other deal. Egypt accepted this compromise of a separate conference. Iran’s initial aggressive stance was mollified by this too, and they signed up to the final declaration. The credit for negotiating this must go to Susan Burk, President Obama’s special disarmament negotiator who has been working hard at the UN behind the scenes to broker a deal. 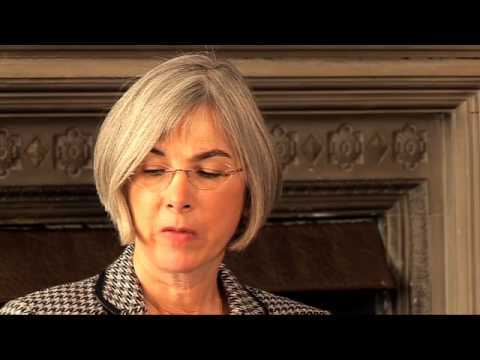 The presence of Susan Burk is a sign in itself that the Obama administration is taking nuclear disarmament seriously. There is no doubt about the US commitment to re-vitalizing the Non-proliferation Treaty. The nightmare scenario post-Cold War is not World War III but a nuclear strike by a rogue state or terrorist group and the US cannot counter this threat without the active cooperation of many other states. The original treaty, whereby the non-nuclear states agreed not to develop nuclear weapons in return for the nuclear ones disarming is often described as frayed. India, Israel and Pakistan never signed the treaty and have become nuclear states. Yet a dozen or more states which could have developed a nuclear weapons capacity have chosen not to do so. Obama’s belief is that if the nuclear weapons states take disarmament seriously then the other states would begin to make good on their non-proliferation commitments. What is new, therefore, is not that multinational disarmament was achieved at this conference, but that a political process has been set in motion which is initiating much ‘behind the scenes’ bargaining before the next small step is taken. This is the reality of multi-lateral agreements. The mere fact that Obama put people like Susan Burk in place a full year before this conference signals his seriousness and is, of course, a million miles away from the Bush administration approach. Wednesday, 7th July 8pm . Although, since the closure of Bradwell, nuclear waste trains have temporarily stopped coming through Brentwood, they are, of course, still carrying their highly toxic and radioactive waste through Stratford. In fact their route takes them alongside the Olympic sites in Stratford and Hackney. In 2006 Daily Mirror undercover journalists planted a fake bomb on a nuclear waste train in Northwest London to demonstrate how vulnerable the trains are to attack and yet, in spite of it being acknowledged by the police that the greatest threat to Olympic security is terrorism, nothing has been done to stop the trains passing the Olympic site. The Nuclear Trains Action Group is calling a demonstration to take place on 10th July 2010 to highlight the dangers. It will hold a rally at the Cadogan Gate of Victoria Park and set off at 2.45 pm to arrive in Stratford at 4pm for a die-in. In Government, however, this unequivocal stance has changed. As part of the coalition deal he has agreed not to oppose new nuclear power stations, whilst at the same time promising not to commit any Government money to subsidise the construc- tion of such stations. Coalitions are not easy and require compromise, but is this a tenable position? Apart from anything else, can we believe that there will be no Government subsidy. 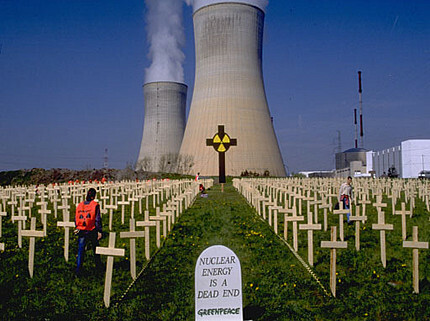 Two of the major costs of nuclear power are the decommissioning of the plants and the storage of nuclear waste. Do we seriously believe that these costs will be borne by the industry? And of course, who will bear the costs of leaks and accidents? It was doubtless a happy coincidence that one of the last minute promises made by the outgoing Labour Govern- ment was an £80m loan to Forgemasters of Sheffield so that it could build parts for nuclear power stations. Since the Conservatives are more than happy to make quick savings by cutting such Labour plans there was coalition agreement on this particular issue. Things will be more interesting, however, when real issues of conscience are tested and nuclear power is an issue of conscience. The recent German research reported in the last WIRE regarding child leukaemias and atomic power stations provides clear evidence of the connection. On April 24th around 120,000 demonstrators formed a 74 mile human chain that stretched from nuclear plant in Brunsbüttel, through Hamburg along the Elbe River to another plant in Krümmel. This was in protest against statements by Chancellor Angel Merkel’s government coalition that it wants to revoke the law passed under Chancellor Schroeder’s coalition that ordered the shutting down of all nuclear power plants in Germany by 2020. CND is dismayed that, despite the Lib Dem’s public opposition to Trident’s replacement, Trident itself will not be reviewed in the forthcoming Strategic Security and Defence Review. With the majority of the population opposing Trident replacement and with Britain facing its worst financial crisis since the Second World War, scrapping Trident would enable billions to be used to re-build the economy and save hospitals and schools from closure. CND is urging MPs to sign the Early Day Motion 110, which has cross party support and urges Liam Fox, the Defence Minister to re-think this. CND does welcome, however, the recent announcement by William Hague, the Foreign Secretary, to review the circumstances under which the UK might launch a nuclear attack. Currently these include ‘first use’. CND believes that, at the very minimum, Britain must be cate- gorical that it will never threaten a nuclear attack on a state that doesn’t possess nuclear weapons. HIROSHIMA EXHIBITION – CAN YOU HELP? A powerful Hiroshima exhibition is being dis- played at Friends Meeting House, Euston Road, London from 2nd August for two weeks. Volunteers are needed to supervise the exhibition sessions are morning, lunchtime or afternoon) and answer questions if necessary. Ring Chris on 020 7700 2393 if you can help. Directed by Jean-Pierre Jeunet this is the story of Bazil, a man set on seeking just retribution from the arms companies whose evil products have killed his father and left him with a bullet precariously lodged in his head. He soon sees that he won’t defeat the arms dealers on his own and befriend a fellow busker who takes him to a wonderful underground world made of salvaged junk, where circus acrobats live alongside kooky inventors. Bazil and his friends manage successfully to pit two dir- rectors of rival arms com- panies against one another. The portrayal of these two characters is cleverly built up to show that behind the sani- tised façade and public relat- ions gleam of their corporate worlds lie two men driven by greed and a quest for personal supremacy. The film manages to convey important messages about the corruption and con- sequences of the arms trade, while never losing its hum- orous and imaginative edge. The two local events described on Page 1 will cost Brentwood CND money. We would, therefore, be grateful for members to pay their 2010 subs as soon as they can. If you receive an envelope in this edition of WIRE addressed to our treasurer, Penny Wright, this means that we think you owe us your subscription (please tell us if we are wrong!). If there is no envelope then you are in the clear! When President Obama first came to office and announced the scrapping of plans to site US radar stations in the Czech Republic and to locate interceptor missiles in Poland there was rejoicing all round. This now appears to have been premature and there seems to be simply a re-configuration of the US Missile Defence plans, under the cover of NATO, rather than an abandonment of them. Romania and Bulgaria are now coming into the equation and it is suspected that secret talks have already begun. Russia is quite rightly concerned. The US cannot talk peace through disarmament. whilst at the same time trying to secure global military dominance. Have you ever thought of taking out a subscription to Peace News? This is the monthly newspaper produced by a collective of people (including some CND members) which supports peace activism across a broad spectrum. At the moment there is a special offer for CND members of £9 (instead of £13) for CND members. If you want to give it a try just send your cheque (writing CND offer across the back) to Peace News, 5 Caledonian Road, London N1 9DY. Join the Peace Walkers on all or part of their walk to Chelmsford. Kate Hudson will talk about the next steps, after the NPT review. Demonstration ‘Stop nuclear trains through London’ to alert to the dangers of Olympics. 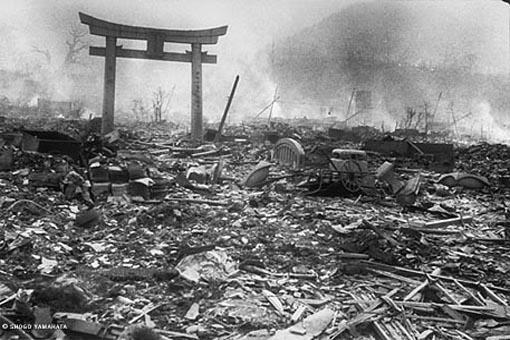 ‘A Candle for Hiroshima’ Brentwood CND will present a candle to be taken to Hiroshima for 6th August. London CND Hiroshima Day Ceremony – Kate Hudson, Ken Livingstone, Shoso Kawamote.